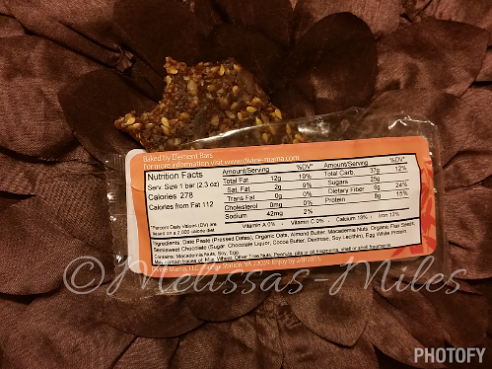 In exchange for my time and efforts in reporting my opinion within this blog, Divine Mama has provided me with complimentary samples of their Datey Apricot Cashew and Macnut Chocolate Chip lactation cookies. Even though I receive these benefits, I always give an opinion that is 100% mine. We’ve reached ten months… We’re going… Going strong? Alright maybe not as strong as I would wish, so I’ve reached out to more lactation cookies for mommy’s like myself. Though Elleanna has NEVER and I repeat NEVER had formula, breast is best, I struggle to gain a supply for the freezer. I am not back to work and not knowing how long or short my days will be. I can be three hours one day or even ten hours like this past Friday, the life of a waitress is so mysterious. 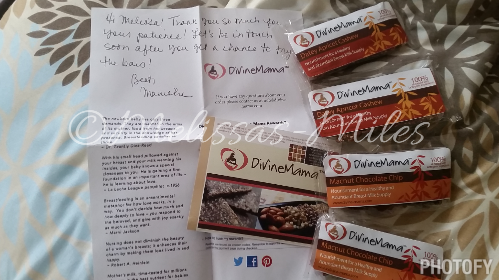 Divine Mama was so gracious enough to send a couple samples to try, Macnut Chocolate Chip and Datey Apricot Cashew. A hundred percent all natural with Iron and Calcium in each serving I am pleased. Without eating the lactation cookies, downing water after water I found myself only producing enough to feed Elleanna but not pump during or after more than a half ounce. (Ouch on my self esteem!) I find myself wondering what is wrong with me? Is she even getting enough during feedings? Could this be the reason she eats every hour? I’ve been trying to pump on a schedule but I’ve been very naughty about it… One day I did every twenty minute’s next day once in the morning and once at night. So how do we change this?… How do I get my supply up? Though I am aware I need to get a pumping schedule done I will be working on this starting this week. Here’s the answer! Divine Mama and my favorite thus far with Macnut chocolate chip! You can hardly tell you are eating something healthy, all natural and that will do so many wonders for your supply! I found though I needed water and milk while having this treat and that I could only eat half at a time my energy and supply seemed to increase. I don’t know if I can only eat half due to the fact I fill up on lunch, dinner or water. Maybe even the fact when I do snack I find I need a little of everything; after having just half a serving of this Macnut Chocolate Chip lactation cookie I went to bed… Morning came and 3 ounces pumped! That is 6 times the amount I was previously getting, think about what would happen if I ate the whole cookie. My snack set up now has become Divine Mama while I begin to add up my supply in the freezer. Though daddy (Geraldo) used my stash up the other day while I was at work… When I said she needed milk I didn’t think he would give her four bottles during my five hours of work. So here’s to a healthy snack, on the go or in the home Divine Mama and I will be treating ourselves Elleanna to some well deserved and earned milk. 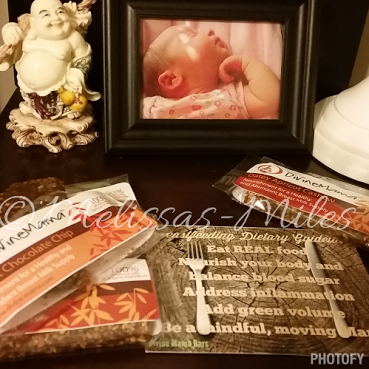 Have you found a lactation cookie or type of food that helps build your supply?